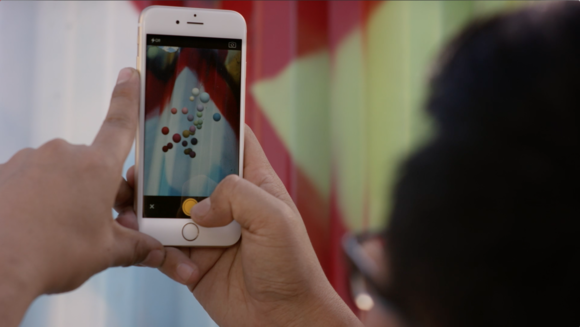 Artists are increasingly turning to smartphones and tablets for larger portions of the creative workflow. Aside from the obvious benefit of being able to work from almost anywhere, mobile devices also allow the freedom to work untethered in a more hands-on way. Spearheading this rapid shift toward mobile is Adobe, whose annual Max event was held earlier this month in Los Angeles. Billed as “the world’s leading creativity conference,” nearly 7000 attendees arrived ready to hone their skills, listen to inspiring talk from working professionals, and get a sneak peek at where all this new-fangled technology might be heading in the future. 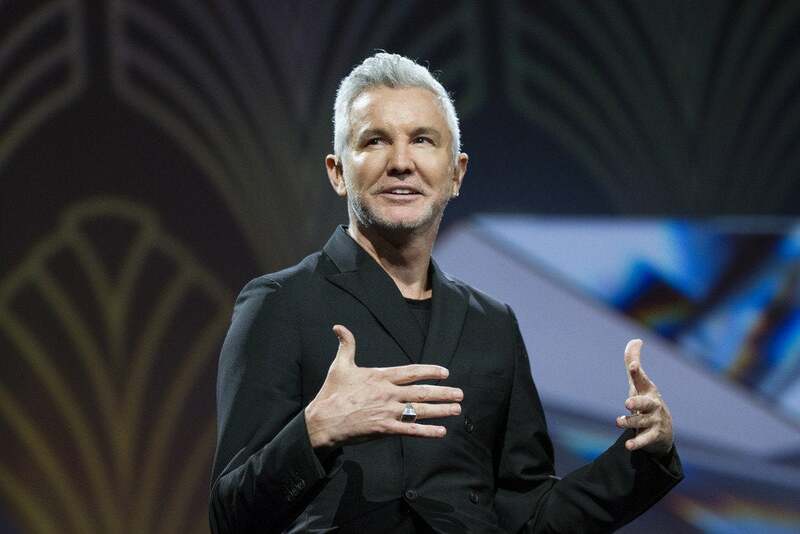 Visionary film director Baz Luhrmann was among the keynote speakers at Adobe Max 2015 earlier this month. This year’s guest lineup included Moulin Rouge director Baz Luhrmann, “Humans of New York” founder and photographer Brandon Stanton, illustrator and writer Maira Kalman, and artist, designer, and author Elle Luna. Originally streamed live online, these stimulating discussions are also available to view on-demand from Adobe’s website. The most exciting product news out of Max this year is Adobe Photoshop Fix, a new iOS image editing app that takes full advantage of the company’s now-legendary restoration and retouching technology. Photoshop Fix replaces the long-neglected Photoshop Touch, Adobe’s initial foray into mobile first released for iPad in 2012. Adobe Photoshop Fix brings the legendary restoration and retouching technology from the desktop to mobile devices. Using Photoshop Fix, mobile users can apply powerful tools such as Liquify, Healing Brush, Smooth, and Lighten or Darken as well as essential color enhancements, paint effects, defocus, and other adjustments such as vignettes, saturation, contrast, and exposure. 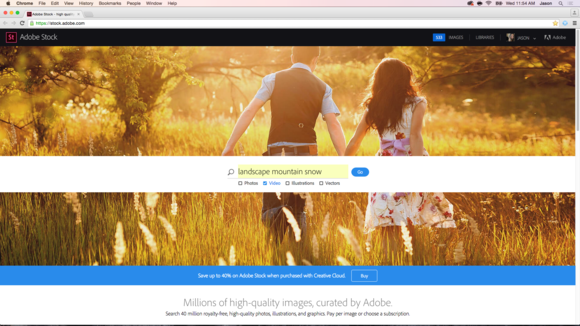 As a smaller part of the connected Creative Cloud landscape, Photoshop Fix can also send processed images to Adobe’s companion Photoshop Mix app, where users can cut out and combine elements from a variety of different sources. The latest Photoshop Mix 2.0 update also adds the ability to combine three or more layers with sophisticated blending controls over each (Mix was previously limited to just two layers). Adobe’s other new mobile offering this month is Capture CC, which provides a single, unified home for four of the company’s previous apps: Brush CC, Color CC, Hue CC, and Shape CC. Instead of juggling multiple apps, users can now open just one, then select which of the four design asset types they’d like to create. Adobe Capture CC consolidates four of the company’s mobile design asset creation apps into one. Colors and vector-based shapes or brushes can be used in many of Adobe’s other mobile offerings such as Comp CC, as well as key creative applications for the desktop, such as Photoshop CC, Illustrator CC, and InDesign CC. 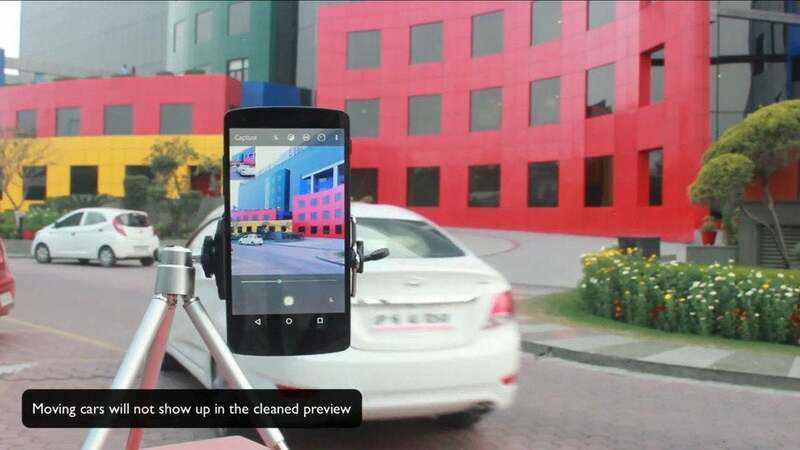 Capture CC also includes the ability to grab color and light to create filters and looks that can be used with video-centric software like Premiere Pro CC, its mobile equivalent Premiere Clip, and After Effects CC. Photoshop Fix and Capture CC require only a free Creative Cloud account to use, but are best paired with a paid membership. Starting at $20 per month for a single desktop app, a monthly subscription includes signature Adobe technology like Libraries and CreativeSync, which makes it possible to sync files, photos, fonts, vector graphics, brushes, colors, settings, metadata, and more. 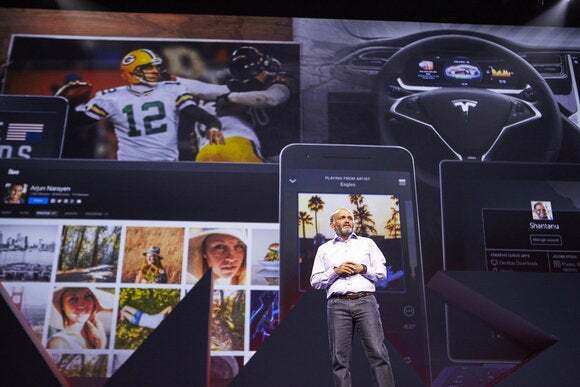 Adobe also used the conference to unveil new features for existing desktop software across all of the company’s traditional product lines. Photoshop CC improves upon layers and elements with Artboards, while the new Design Space streamlines your workflow when using the venerable image editing application for this very specific task. InDesign received a special touchy-feely workspace mode on devices like the Microsoft Surface Pro. Also on the design front, InDesign CC finally joined the Touch workspaces party for Windows and Mac users, gaining online publishing capabilities in the process. Likewise, Illustrator CC’s existing Touch functionality now delivers powerful new tools such as Shaper, Live Shapes, and enhanced Smart Guides. Adobe also added a preview version of Fuse CC to the mix, a 3D character application that works in conjunction with Photoshop CC. 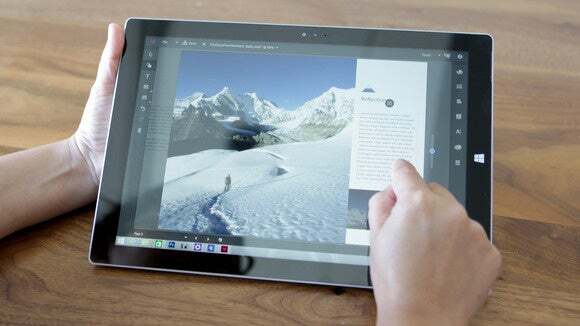 Adobe also demonstrated the forthcoming Project Comet, an end-to-end user interface solution designed to work equally as well on desktop and mobile alike. Web designers had something to get excited about at Max 2015 thanks to the responsive design capabilities now available in Dreamweaver CC and Muse CC, while videomakers can enjoy native UltraHD format support in Premiere Pro CC and After Effects CC. First launched in June of this year, Adobe Stock now adds video to its lineup of photos, images, and graphics. Speaking of video, Adobe Stock added motion content to its arsenal of photos, images, and graphics. Customers can browse and purchase assets directly from their favorite Creative Cloud applications, which has expanded to include Muse CC, Dreamweaver CC, and Flash Professional CC. Built upon the company’s creative community of more than 5.6 million members on Behance, Adobe Portfolio offers a simple yet elegant way to design creative portfolio websites. This new service will be available before the end of the year for all paid Creative Cloud members. That even includes those on Adobe’s least expensive Creative Cloud Photography plan priced at only $10 per month, which delivers the aforementioned enhancements to Photoshop CC as well as Lightroom CC for desktop and mobile, plus powerful new editing capabilities for the companion web version. In what has now become an annual tradition, Max 2015 wrapped up with an early look at technology still simmering on the back burner. Presented by Adobe engineers, these so-called “Sneaks” are intended to show off new features that have the potential to be implemented into new or existing applications, and are always a highlight of the conference. Max 2015 Sneaks include “Monument Mode,” a one-tap solution for removing tourists and other unwanted moving objects from photos as they’re taken. One of the most impressive tech previews was “Monument Mode,” in which co-host Nick Offerman (best known for his portrayal of no-nonsense government employee Ron Swanson on NBC’s “Parks & Recreation”) played an annoying tourist blocking the view of a landmark trying to be photographed. Using a new algorithm that distinguishes fixed objects from those in motion around it, removing such obstructions could one day be only a click away. 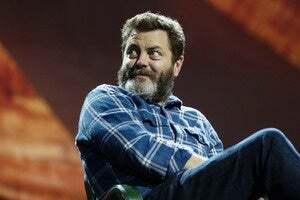 “Parks & Recreation” resident grump Ron Swanson—better known as actor Nick Offerman—provided the laughs during the closing night “Sneaks” thus year. Other Sneaks included capturing perspective by snapping a picture, an iPad app for creating custom fonts, and a one-click method for removing objects from the frame without having to first select or even identify them. Judging from previous events, you can bet at least some of this innovative technology will make an appearance before it’s time to sign up for next year’s Max, which will be relocating to San Diego from October 31 through November 4, 2016.